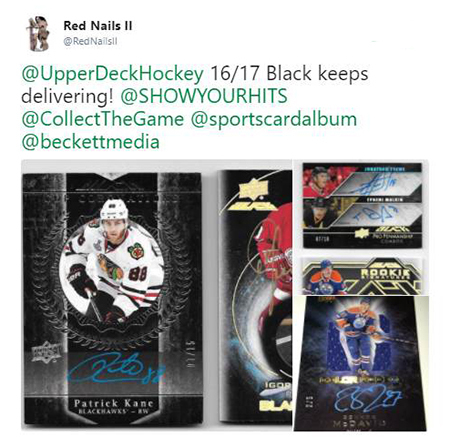 The Black Hole jersey and autograph jersey cards seem to be a big hit with collectors as well! 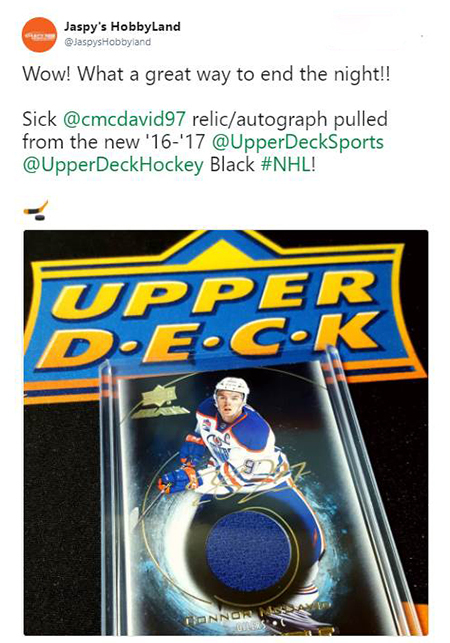 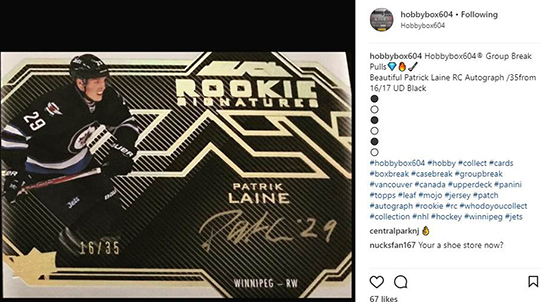 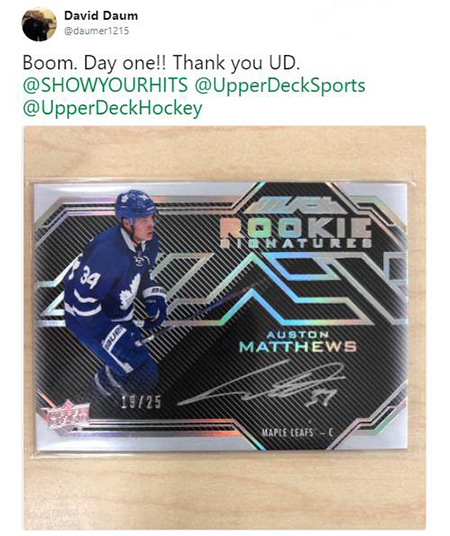 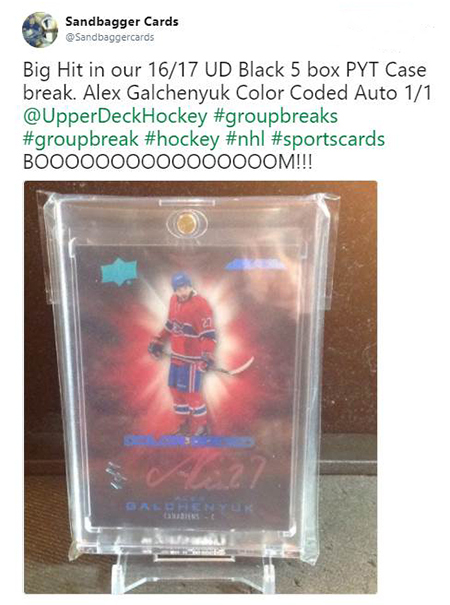 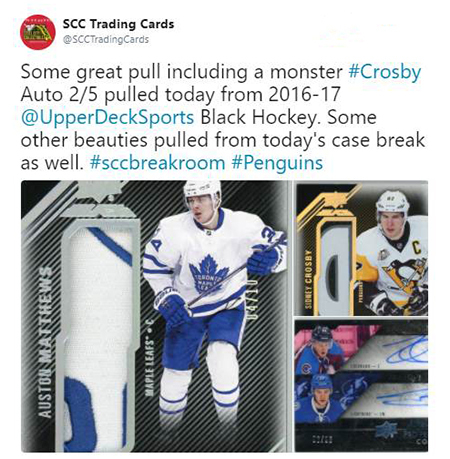 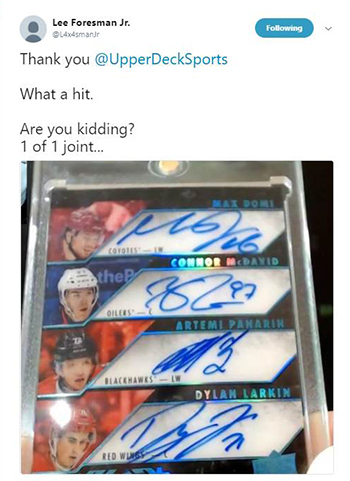 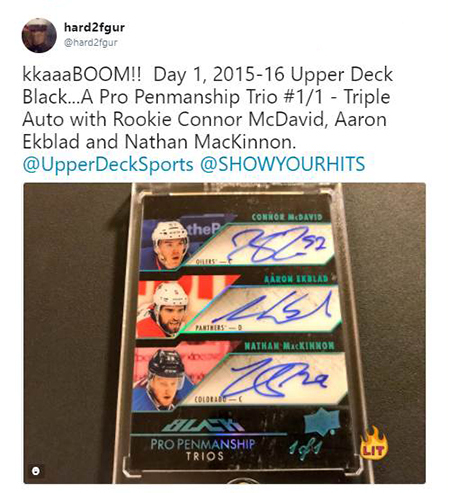 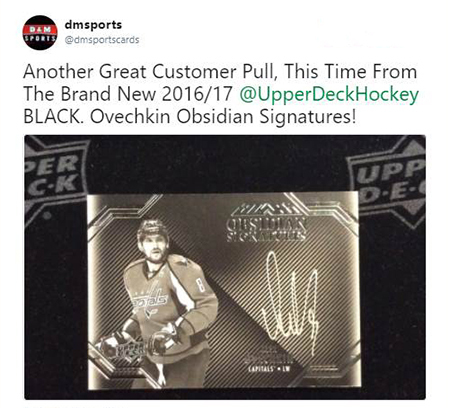 Worthy of note there are 2015-16 NHL® UD Black update cards and some fans have pulled some monster cards from that group of cards randomly inserted into packs. 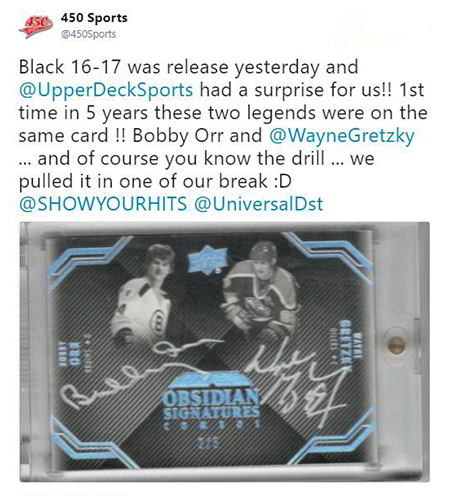 Watch as Upper Deck’s hockey product manager talks about the release and shows off some of the compelling content found in packs!